Are all your apps ready for St. Patrick’s day? Who in your office w ill be doing extra time updating social media and viewing cute videos of all that can go with the celebration? Having visibility of all your mission-critical apps and the other apps that could be crowding out productivity is essential. Let your IT staff be the leprechaun who can throttle traffic when necessary. 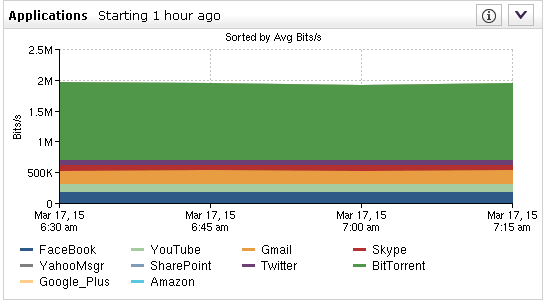 How appropriate, the BitTorrent traffic is in green to match the day! 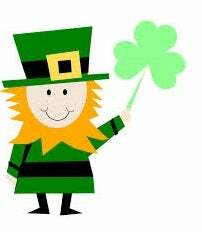 What would be your next steps if you were the leprechaun in IT? With Riverbed, you have choices. You could use the traffic shaping capability of SteelHeads at your branch office. Or, if you have a culture of no shenanigans, you could quickly create a report of what users were doing what and stop by their desks with a reprimand. That’s up to you. If you’re in charge of a large beer distribution app like one of our customers in Chicago, you better make sure your app is running all the time. Before Riverbed, they had an 11-hour outage that lost them close to 11 million in revenue. Talk about luck of the Irish, when they installed our SteelCentral AppInternals solution, they solved the same issue in 7 minutes. And it’s a lucky number too. When it comes to Riverbed and Saint Patrick’s day, we’ve got you covered. Cheers!